ESL shopping lessons not only teach important vocabulary skills, they also teach practical life skills. Start the lesson with a conversation about shopping. Find out how your students shopped in their home country. Did they have stores, or did they go to an open-air market? Did they have chain or department stores like Wal-Mart or Target? Then, talk about price. You can also discuss brand names. What is a cheap, expensive, or reasonable price for different items? Your students may or may not be familiar with comparing brands and prices. A good way to explain this might be to use an open-air market with different vendors selling the same items as an example. Give them some vocabulary to use on their shopping trip. A good way to do this is to brainstorm all the words you can think of that are related to shopping and write them on the board. Practice pronunciation and using the words in context. Remember to practice both the vocabulary they will use as well as the vocabulary the salesperson or shopkeeper will use. Where can I find . . .? I'm looking for . . .? Give your students a budget, a shopping list and let them go shopping. To get the most practice, have them ask the salesperson for each item on their list. Depending on their country of origin, it may be customary for students to barter for a better price. Explain to the students that bartering for high ticket items such as cars, jewelry or homes is acceptable. However, salespeople are usually not authorized to change prices at many stores. Therefore, bartering for smaller items such as groceries or clothes is not appropriate. Discuss coupons, sale prices and sales tax as these may not be familiar concepts. In some countries, it is customary to tip salespeople. Discuss when it is and isn't appropriate to tip. Because debit and credit cards are not universal, you may want to have a conversation about these methods of payment. Do not get too involved though; You can prepare another lesson on credit and finances. One of the best ways to teach this skill is to actually take your students on a shopping trip. It may be difficult to arrange, but it will be well worth the effort. It will give students an opportunity to shop the way they normally shop, but with an interpreter. You will be there to explain why things happened or why people said what they said. The experience may also remind students of questions they want to ask. Have the students meet you at the store with their own money. Ask them to hold off grocery shopping for the week if they can. That way when you go on your shopping trip, they will have actual questions and be able to practice vocabulary. The trip might also spark conversations you wouldn't necessarily come up with in the classroom. ESL Partyland includes printable cards that you can use to create your own store in the classroom. Boggles World ESL has a great worksheet to practice shopping vocabulary. It also gives a good role-play example for students. 1StopKorea.com is an online shopping lesson. This would be great to use if you want to give shopping as homework. TEFL.net lists a number of activities to be completed during your ESL shopping lesson. It has great suggestions for discussing shopping vocabulary. 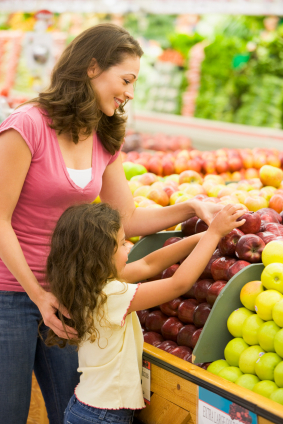 EL Civics offers a very basic lesson plan for grocery shopping. It would be great for beginning ESL students. It also includes pictures. Lesson Plans Page has a great lesson plan for clothes shopping. It includes a detailed list of activities, materials and vocabulary. "Shopping Lessons." YourDictionary, n.d. Web. 21 April 2019. <https://esl.yourdictionary.com/lesson-plans/Shopping-Lessons.html>.